Why Does Labor Day Matter To Christians? Let me provide a brief backdrop of the history and meaning of this holiday, and then illustrate why Christians should wholeheartedly celebrate this holiday. Reading further, I am reminded that during the trade union movement in the late 1800s, it was suggested that there be a holiday to celebrate the laborer. Shortly thereafter, in 1887, it is reported that the first state to make it a public holiday was Oregon. 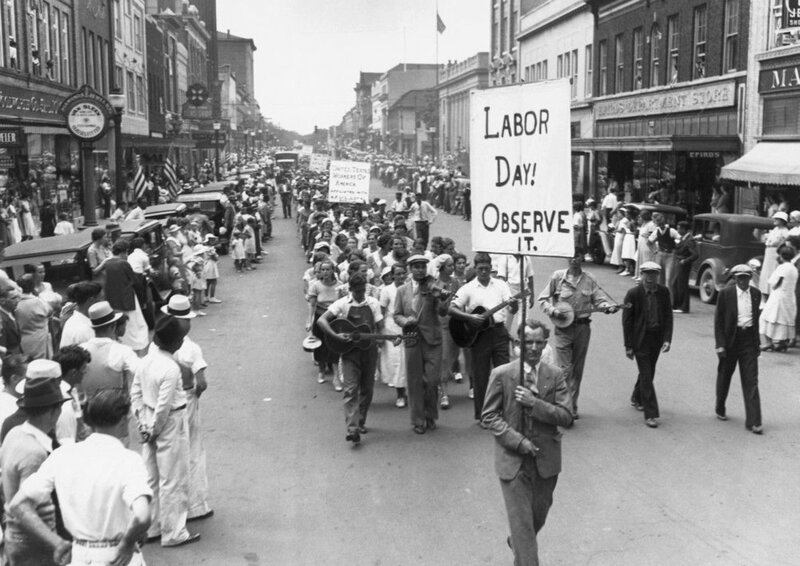 Over the next seven years, thirty states had begun to celebrate Labor Day, and it was deemed a federal holiday in 1894. There are hundreds of Bible verses that address some aspect of work. In Genesis, we see in the creation story that depicts God as a worker. He calls humans to work with Him to expand His handiwork. We also see the downside of work, where Adam’s sin brought a curse on work, making it unnecessarily difficult and resulting in sweat, unfruitfulness, and disharmony among workers. In the Old Testament (OT) narratives, we read about well-known men and women who successfully integrated their faith in God at work—Moses, Joseph, Ruth, David, and Nehemiah. We also read about ordinary people such as Bezalel and Oholiab, who were called and gifted to work with God in the construction of the tabernacle. We find principles on how we should work from the OT writings (Psalms, Proverbs, and Ecclesiastes). The prophets give us some insights about the future of human work in the new creation. In the New Testament, we read what Jesus taught about work in the Gospels, as well as what Paul and others wrote in their epistles. We see how Jesus redeems and transforms workers. Finally, the book of Revelation has some things to teach us about the eternal value of our work. Our Creator sustains His creation mostly through human labor. Isaiah 28:23–29 supports this concept well. The prophet describes how a farmer does the work of God as His coworker. God provides the wisdom needed and instructs the farmer how to do the work the right way to cultivate the field, gather the harvest, and process the grain so that His people can eat. He emphasizes that all of this ultimately comes from God. The end result of all of this hard work that God orchestrates is a world where shalom increases. In addition, God’s blessings take a variety of forms. Sherman and Hendricks wisely indicate some of the byproducts of work. “People need work. They need its challenge, its product, its achievement, its aesthetic and emotional rewards, its relational dynamics, its drama, its routine, and its remuneration.” This idea is supported with our understanding of the creation mandate in Genesis 1:28. There, we read that Adam was created to be a worker, or rather a co-worker with God. We were also created by God for a purpose. Each of us were given the appropriate gifts, skills, abilities, and desires to be able to perform various functions through our jobs. Believe it or not, Christians who live “under the Son” rather than merely “under the sun” can find some measure of satisfaction in our work. Ecclesiastes 3:12–13 states that man should “be happy and do good while they live … eat and drink, and find satisfaction in all his toil – this is the gift of God.” It is indeed possible in the Lord to find joy and contentment in our work. It was stated earlier that we love God through work. Sherman and Hendricks explain how work relates to loving God (Deuteronomy 6:5). “Just think about how much of your heart, soul, and might go into your work. Imagine, then, as you spend yourself at that task, being able to say, ’I’m here to do something God wants done, and I intend to do it because I love Him.’ The person who can make this statement has turned his work into one of his primary means of obeying the greatest of God’s commandments.” Amen! I want to encourage my brothers and sisters in Christ to celebrate Labor Day with praise to the triune God who is a worker and a new appreciation for His gift of work. We are honored to have Russell E. Gehrlein as a guest contributor in this month’s newsletter. Author of "Immanuel Labor - God's Presence in our Profession: A Biblical, Theological, and Practical Approach to the Doctrine of Work", Russ is a former youth pastor and a junior/high school math and science teacher. In 2006, he retired from over 20 years active duty in the US Army in the rank of Master Sergeant. He currently works as a Department of the Army civilian at the US Army Chemical, Biological, Radiological, and Nuclear School in Fort Leonard Wood, Missouri. Timothy Keller, Every Good Endeavor: Connecting Your Work to God’s Work (New York: Dutton, 2012), 184. Lee Hardy, The Fabric of This World: Inquiries into Calling, Career Choice, and the Design of Human Work (Grand Rapids: Eerdmans, 1990), 47-48. Doug Sherman and William Hendricks, Your Work Matters to God (Colorado Springs: Navpress, 1987), 87. Sherman and Hendricks, Your Work Matters to God, 71. Sherman and Hendricks, Your Work Matters to God, 94. Learn more about the integration of faith, work, and culture at NIFW.org or follow us on Facebook, Twitter, LinkedIn, or Instagram.